More people are now more particular about the way they look. That is why competitive beauty businesses are now offering a broader array of services that cater to modern women as well as men. <>Have you ever wondered why many beauty salons, nail spas, and other beauty service centers are opening in most urbanized areas nationwide? There is no doubt that it is the best time to get into the beauty business. Modern men and women now pay importance to how they look. Thus, there are various beauty services that are in demand. This is why Asia’s Lashes, which mainly offers eyelashes extension services, is offering and providing additional beauty procedures that customers usually seek. According to Leah Urbani, franchising manager of the business, Asia’s Lashes is at an advantage because it offers a number of the most sought-after beauty services in the market today. Aside from eyelash extensions, here are two other interesting added services in its lineup. Beauty conscious women would agree that it is important to have a whiter underarm. “Women who have lighter underarms are perceived to be more hygienic and sexier these days,” asserted Urbani. That could be because perception of beauty has been heavily influenced by local celebrities, who flaunt their white underarms whenever they get the chance to do so. It is not easy to obtain whiter underarms, though. It may be difficult, if not impossible, if women would try to do it on their own. Fortunately, modern beauty technology has developed effective ways to attain such a goal. And one of the most reliable procedures is being conducted at Asia’s Lashes. Interestingly, many people don’t like the sight of hair in unlikely and private places in their bodies. Those who are planning to go to a beach party would not be comfortable at the sight of hair peeping out of their bikinis. This is how body waxing is helpful to them. Asia’s Lashes facilitates two major types of body waxing services. The first type is Bikini wax, which removes unattractive hair within and around the linings of bikinis. The second is Brazilian wax, which removes hair in the entire private area. Urbani was quite amused to disclose that half of their customers who undergo this process are women. The other half, of course, comprises of men, which is interesting to note. “It must be that we have more metrosexuals today. Take note that most of our male clients for this service are straight men,” Urbani quipped. The popularity of these added services makes Asia’s Lashes more attractive as a franchising opportunity. It means that the shop can cater to broader demographics, in turn translating to greater revenues. Entrepreneurs who are not familiar about these types of services may not worry. Urbani assured that franchisees and their staff are subjected to effective training sessions to make sure they can carry out various tasks carefully and correctly. 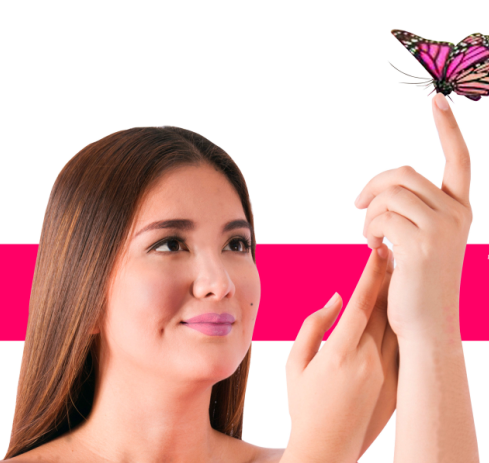 Visit Asia’s Lashes at any of its locations: Ortigas Center, Pasig City (Cityland Megaplaza); Cebu (LIM Brotherhood Building); Tutuban, Manila (Prime Block Mall); Tandang Sora, Quezon City (Citilife Homes in front of SaveMore); and ABS-CBN, Quezon City (MIP Compound in Mother Ignacia St.). To inquire about how to obtain and own a franchise of Asia’s Lashes, follow this link.